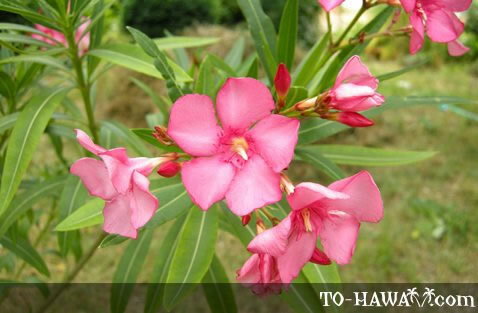 Oleander is a sturdy shrub that can easily handle wind, salt and even a drought. It is always blooming and because of this, it is a favorite in many gardens. Its flowers emit a sweet fragrance and can be pink, rose, red or white. Oleander can grow up to 20 feet (6 m) tall. It is a poisonous plant.